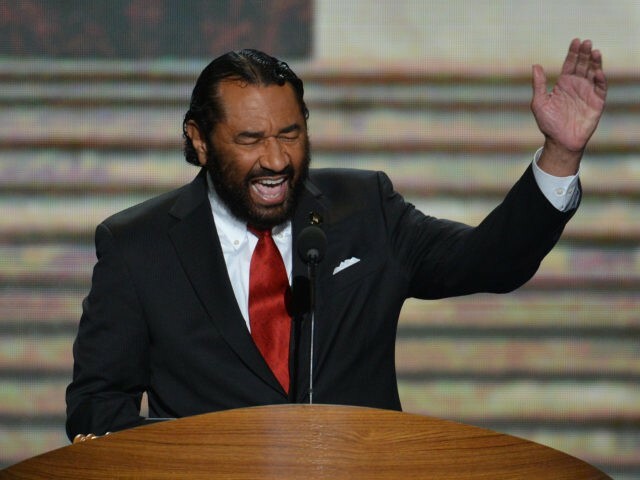 Rep. Al Green (D-TX) claimed on Thursday that President Donald Trump can also be impeached for “incompetent behavior” that is “harmful to society,” including Trump’s zero-tolerance immigration policies and “bigoted” African agenda. He said the most important word in “high crimes and misdemeanors” is “misdemeanor” and, as he has done in the past, insisted that there is “no requirement that there be any crime” for Trump to be impeached. Green said he is hoping for a “November that will be a November to remember” that will provide Democrats with at least 218 votes. He said he hoped that the Judiciary Committee will then at “least take up an inquiry” regarding impeachable offenses. When asked who gets to decide whether Trump has harmed society, Green said Representatives who were elected by “we the people… to serve in Congress to represent you” ultimately get to determine whether Trump should be impeached. Pathetic. Throw as many of these idiots out of Congress as possible in November. SAVE OUR NATION FROM THIS INSANITY. VOTE REPUBLICAN IN 2018!! Beezer, southBronx and hattiecat like this. WE the people elected Trump...so get over it! Do not separate children at the border...deport the WHOLE family! Beezer, hattiecat and Judy like this.